The Free Library is in the midst of the Building Inspiration: 21st Century Libraries Initiative, a transformational project to reimagine and reshape neighborhood libraries to meet the changing needs of today’s library customers. It is made possible by many generous gifts in a unique partnership between the public and private sectors, underscored by a historic $25 million gift from the William Penn Foundation—the largest private gift ever received by the Free Library. A vibrant Children's Library: a focal point of the new spaces, featuring comfortable children’s furniture, designated reading areas, and computers equipped with age-appropriate software. A welcoming Living Room space: a warm and welcoming space in each library where customers can self-check books, gather with friends, and enjoy the library’s programs. A dedicated Teen Space: a haven in each library for teens to gather, do homework after school, engage in age-appropriate programming, and receive academic support. A customized Pre-K Zone: located within each Children’s Library and brimming with picture books, small tables and chairs, and movable soft furniture that toddlers can use comfortably. To stay current on these projects, check them out In the News. Small Business Resource Center providing the information and resources needed to start, manage, and grow a business, as well as offering individual assistance in writing business plans, targeting new customers, and finding sources of financing. The Small Business Resource Center has been developed in response to the work of the Tacony Community Development Corporation, which has been working to establish the neighborhood as a quality destination for shopping and dining. "Public Libraries for the People": A Gift of Four Original Prints by Amos P. Kennedy, Jr.
Last year, the Free Library of Philadelphia welcomed more than six million visitors. Thirty percent of those visitors stopped in monthly. In a single year, those visitors generated more than 3 million reference questions, which equates to two questions for every man, woman and child who lives in the city today. The Free Library of Philadelphia is delighted to announce four new site-specific public art commissions at neighborhood libraries across the city. 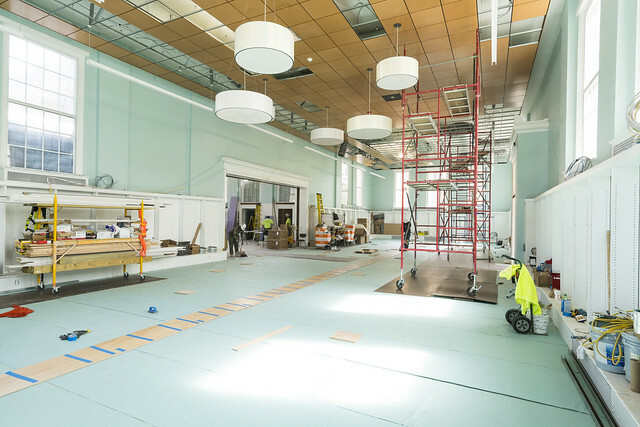 The art will be placed at four of the libraries undergoing renovation and expansion through the Building Inspiration: 21st Century Libraries Initiative. 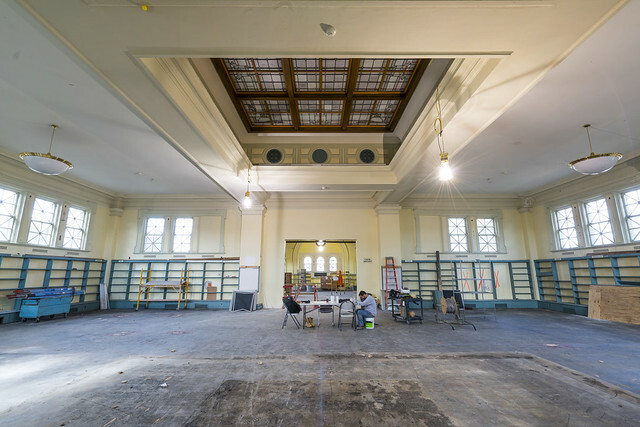 As part of the Free Library of Philadelphia’s Building Inspiration: 21st Century Libraries Initiative, a project financed by a $25-million grant from the William Penn Foundation, two new stained-glass works of art were installed in Lovett Memorial Library, 6945 Germantown Ave. in Mt. Airy, on Aug. 10. Construction is underway on the next phase of an effort to bring Philadelphia libraries into the modern age. 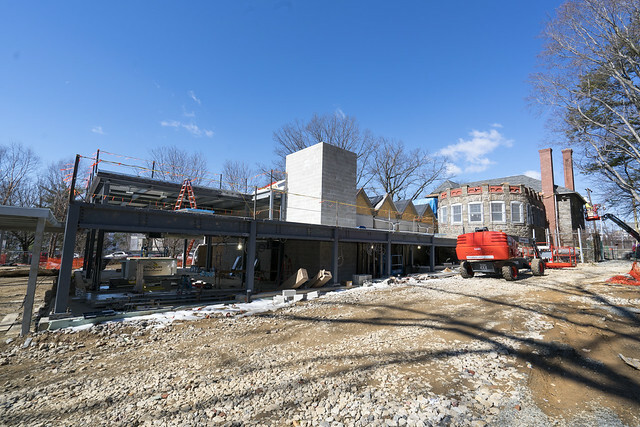 This week, The Free Library of Philadelphia announced that work has begun on the Lillian Marrero Library in Fairhill and the Lovett Memorial Library in Mount Airy.